In your industry, there are a number of well-known, must-attend conferences and expos (hopefully including your own events). Why do you think people attend those specific events? “To learn new things” is not the only reason; these days people can easily find the information they need on the Internet. They expect to get something they can’t find elsewhere – the precious opportunity to connect with other important people in person. 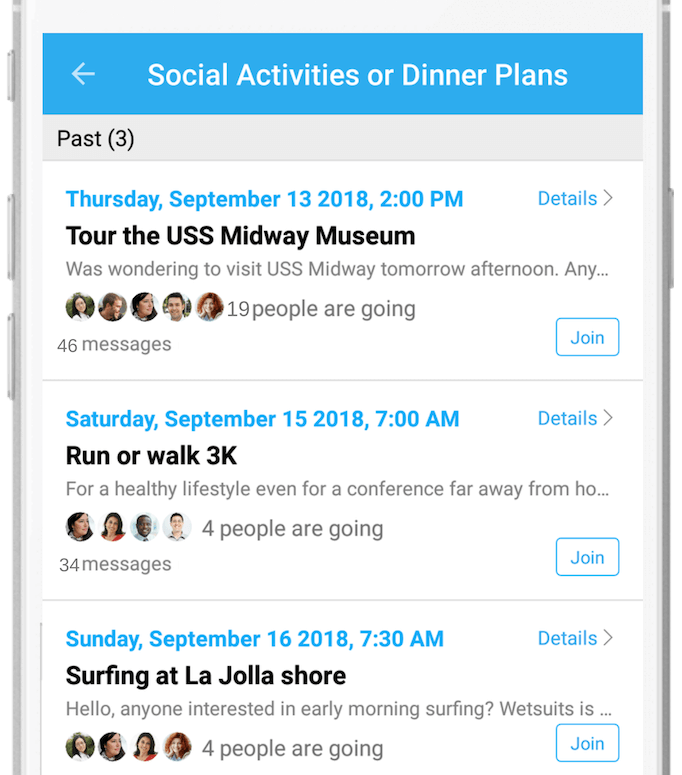 To make your conferences, expos, and community events extraordinary, how can you help attendees identify and make valuable (potentially life-changing) connections with no hassle or stress? 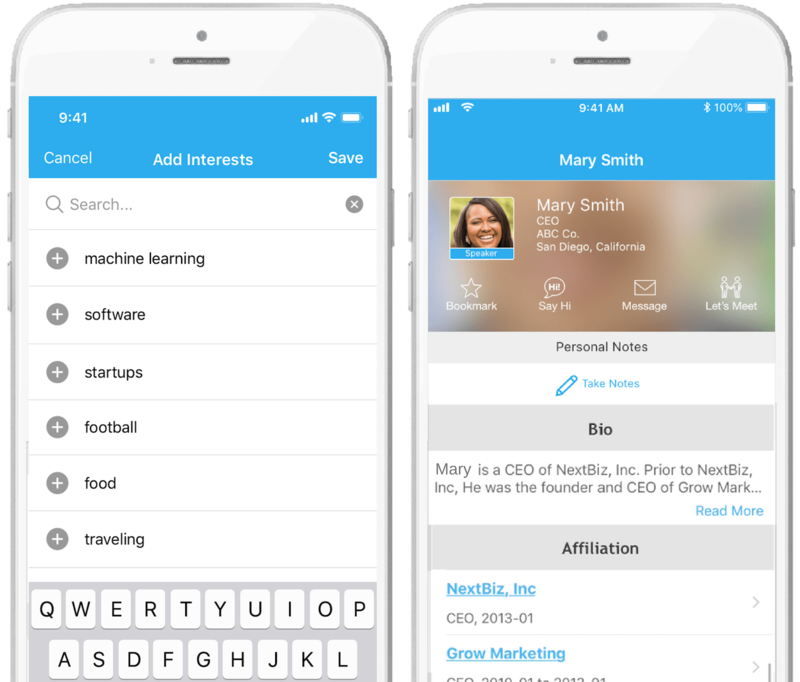 Whova has kept pushing the boundaries of what is possible in event networking and has finally launched a new revolutionizing feature, called Attendee Matchmaking. So, what’s Attendee Matchmaking? For individual attendees, Whova recommends people with commonalities including professional and educational background, location, interests, and industry. Importantly, both you and your attendees do not have to manually input hundreds or thousands of pieces of information for matchmaking. Attendees’ SmartProfiles are pre-populated by Whova and attendees can just edit or input additional information (e.g. interests) for better matchmaking. And the matchmaking is smart enough to understand variations and abbreviations, including names of schools and industry shorthand for job titles. Traditional random networking has stayed stagnant for over 20 years. It’s time to move to the digital age with targeted networking. The new matchmaking puts the exact list of recommended people and their profiles in each attendee’s hands. It’s easy for everyone to make connections without the need to plan ahead, or risk a “missed connection” due to lack of information. Profiles for networking Relying on attendees’ inputs, but with limited time, many people leave their profiles mostly blank Whova’s SmartProfiles are pre-populated for rich profiles without relying on attendees’ manual inputs. By providing great networking opportunities, attendees and exhibitors could see double or even triple ROI from attending your event. This makes it much more likely that you’ll end up on their short-list for next year. An attendee might be at your event with the intention of speaking with others about his software startup. He adds ‘machine learning’, ‘software’, and ‘startup’, to his profile as interests. He is able to see that 40 people at your event have these same interests. He connects with them via the app, and finds time during the event to meet up for coffee and connect after some relevant sessions. Thanks to the SmartProfiles, he’s able to find other things he has in common with these new contacts, including the same university and the same hometown. This makes these networking conversations extremely easy, as he is able to establish a rapport and quickly make a connection. As a result, he finds 10 high-quality customers, schedules a follow-up meeting with an investor, and meets two software engineers who are interested in joining his company. At large corporate internal meetings, annual conferences for associations, or community events, team bonding or community building is often a top priority. The Attendee Matchmaking helps attendees get to know one another on a more personal level, going beyond formal and professional discussion. Many attendees have found a new surfing or yoga buddy, or someone to watch their alma mater’s next game with. At large conferences, attendees can be from across the world and across industries. With hundreds or thousands of attendees, it is very hard to connect with anyone. This can make the event experience lonely, overwhelming, and also boring. 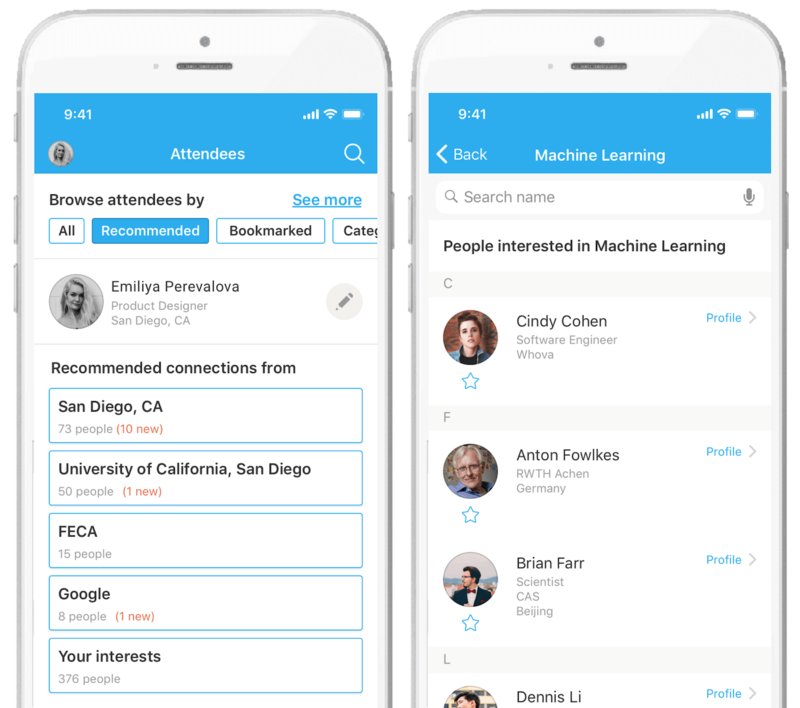 With the Attendee Matchmaking, attendees can see who else worked (or is working) in the same companies, grew up in the same town, went to the same university, or used to work down the hall. With a quick in-app message or post on the Community Board, they get together with fellow alumni or those from the same town. Enabling these connections brings a personal touch to the event and creates a memorable event experience. If you value providing meaningful networking opportunities for attendees, Whova’s Attendee Matchmaking will help set your event apart. It’s easy to use for both organizers and attendees, without requiring extra steps for anyone to set up. Request more information and find how Whova’s new Matchmaking can wow your attendees and make your event extraordinary.